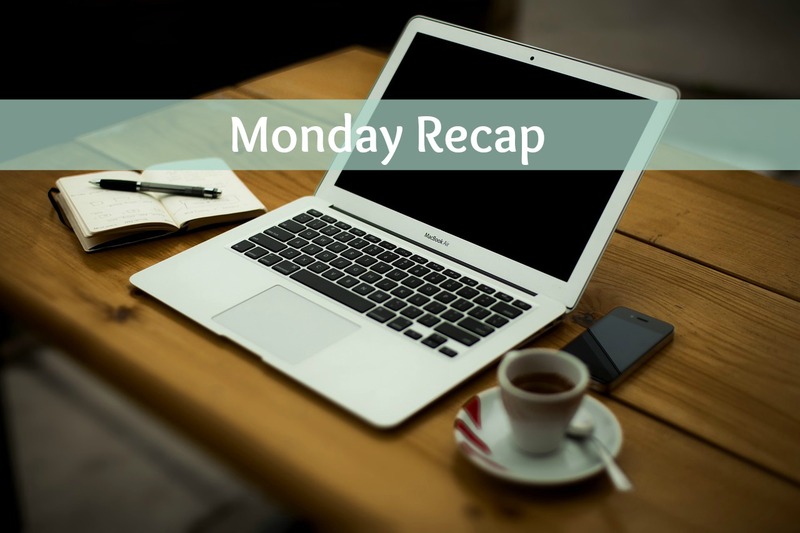 Less cooking, more reading–that’s been July’s theme. Meatless Friday: Cilantro-Lime Shrimp with Pineapple Salsa. Don’t worry about heating up the house when you cook this easy summer meal. 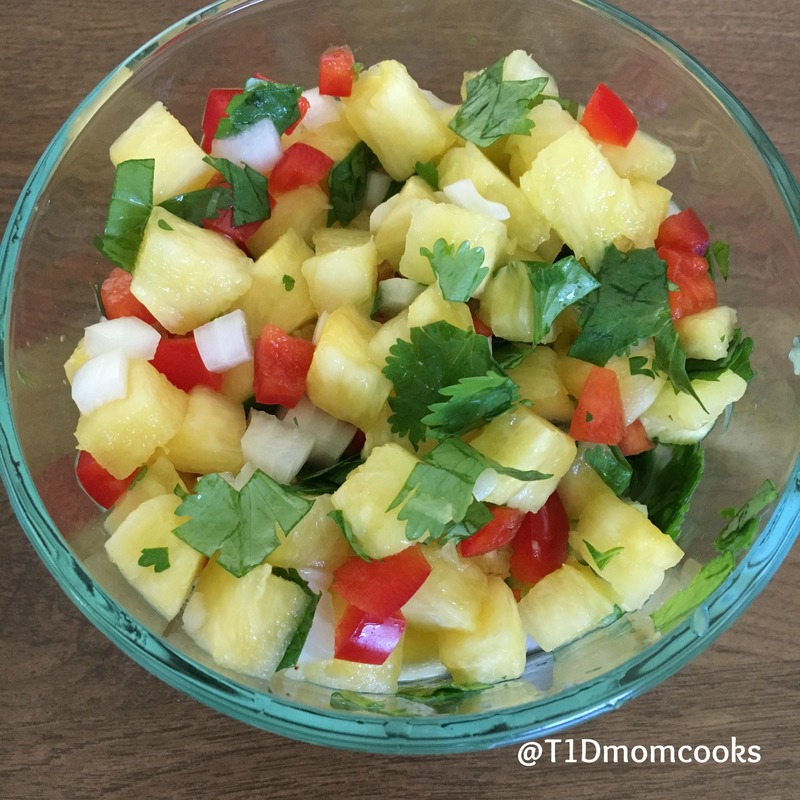 Here’s my recipe for cilantro-lime shrimp with sweet pineapple salsa. Book Notes: Alligator Creek. 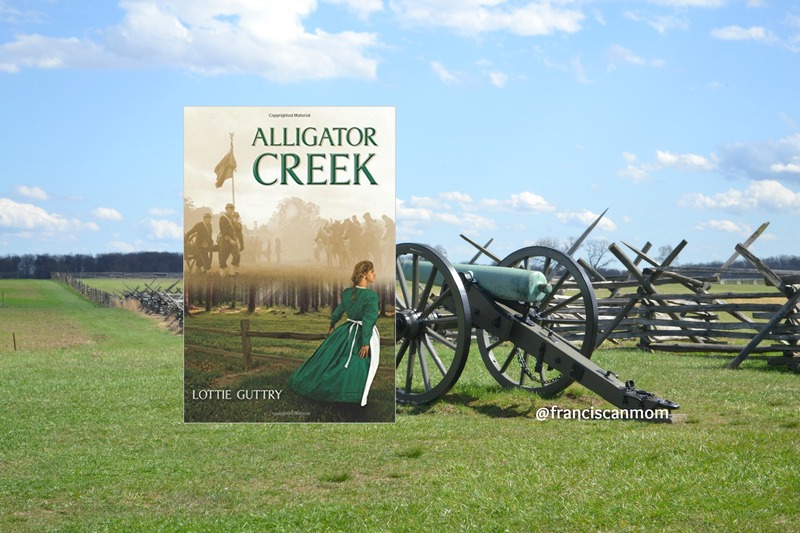 If you’ve ever visited a Civil War battlefield, I recommend Alligator Creek for your next summer read. Book Notes: Cultivating Empathy in a Selfie World. Summer vacation may be the best time to school ourselves and our children on ways to demonstrate kindness and compassion. 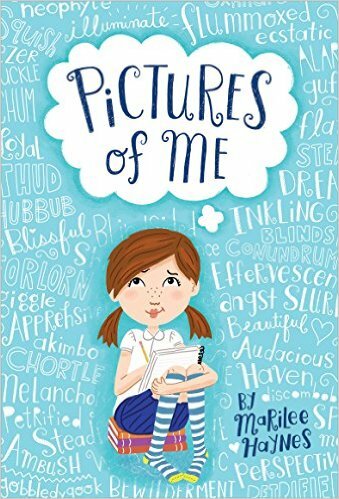 I review “Unselfie” and “Pictures of Me,” two books centered on the development of empathy. 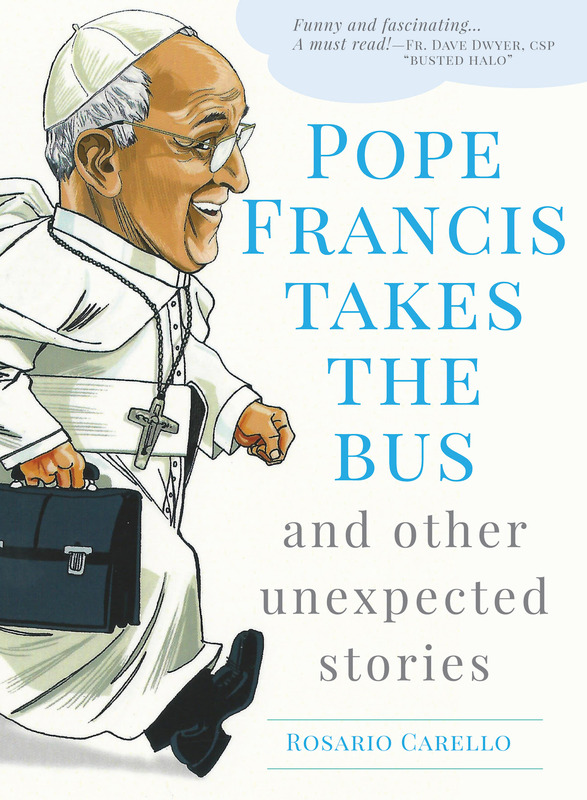 Book Notes: Pope Francis Takes the Bus. Rosario Carello’s new book, Pope Francis Takes the Bus, centers on the Pope’s humility as his distinguishing trait. I review the book and explain how children and adults alike can benefit from the stories inside. Meatless Friday: Father’s Favorites. Need some quick inspiration for a simple, delicious meatless meal? Try one of these recipes, brought to you by three parish priests. 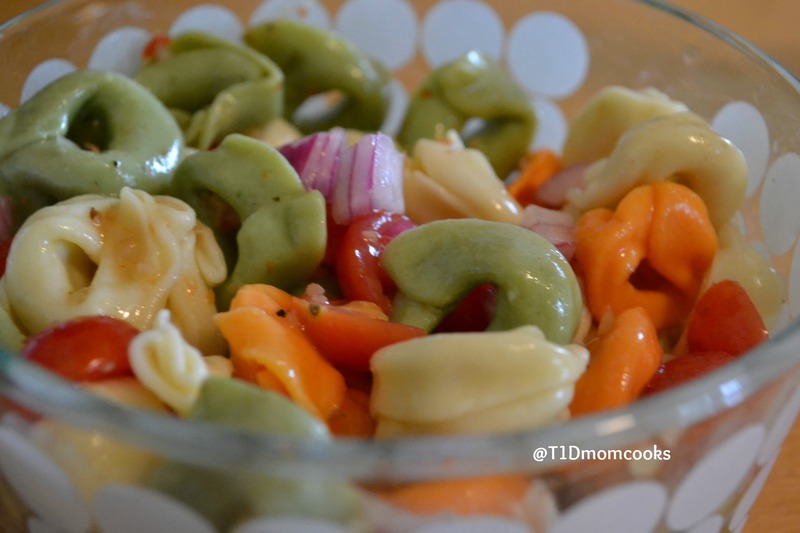 Simple Tortellini Salad. 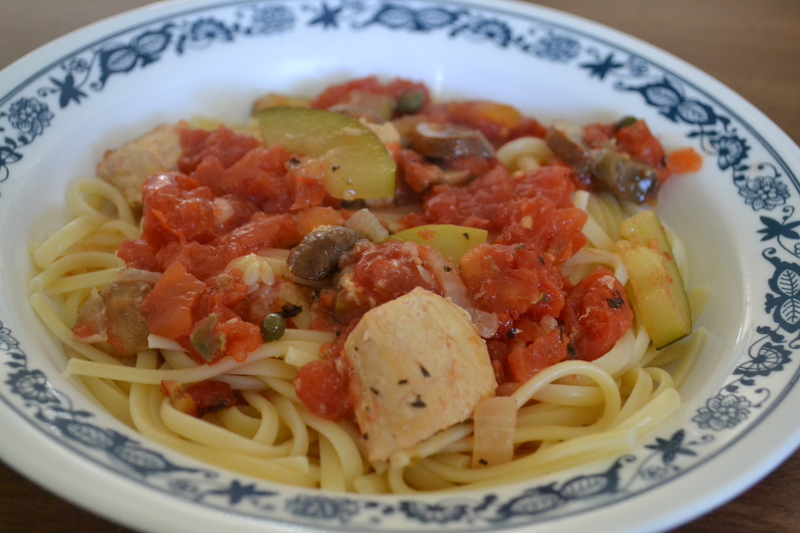 A cool pasta dish for hot summer evenings. Chicken with Zucchini and Mushrooms. It’s zucchini time! If your neighbor is leaving squash in your mailbox, this recipe is for you. A Taste of Summer (with recipes!). 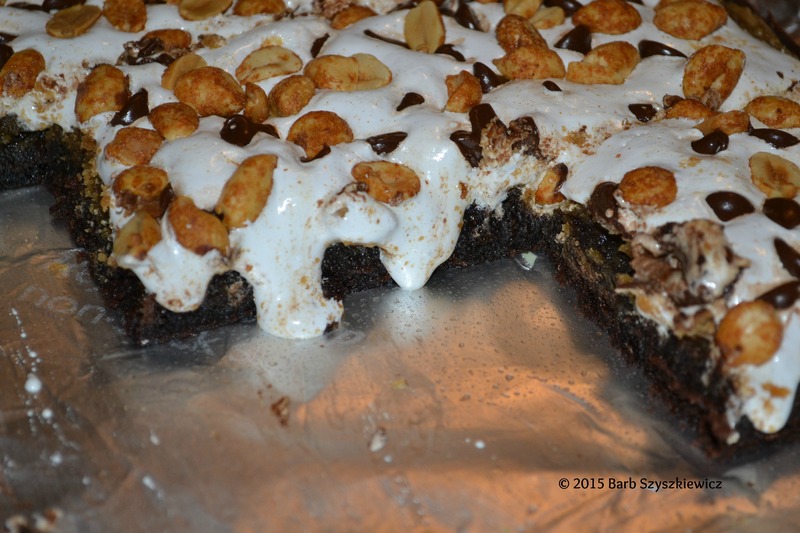 In this guest blog post I share 3 favorite summer recipes, including Chocolate Marshmallow Peanut Brownies, pictured here.